Moderated by Bobby Brennan who runs a data science consulting firm in Boston. The panel began by discussing an exciting and important line of insurance that has recently emerged: cybersecurity insurance. Marc talked about how BitSight works with insurers to determine a company's risk of being breached; by creating automated tools for probing a company's defenses - without needing access to the company's internal resources - BitSight is able to accurately measure their level of security, allowing insurers to make informed decisions on whom they should underwrite and for how much. John also drew from his experience at VisiTrend and Carbon Black to discuss what he saw as unique challenges in measuring cybersecurity risk. A common focus for each of the panelists is the way humans and machines can interact to create positive outcomes. Insurance decisions often carry large financial burdens and can have a huge impact on the livelihood of individuals and businesses, so it's crucial that the decision making process retains a human component. Andrew spoke about how his team enables human actuaries to make more informed decisions by drawing on machine-driven analysis. The panel seemed to be in agreement that together, humans and machines can drive better outcomes than either alone. The panel concluded with a general discussion on the impact of data science in the insurance industry, both at the present moment and moving forward, and each of the panelists agreed that data science has been nothing short of transformative. Satadru pointed out that machine-driven statistical insights had ameliorated billions of dollars worth of insurance fraud committed every year, and expressed hope that we'd only just scratched the surface of what's possible. The consensus was that, while data science has had a massive impact on the insurance industry, the focus thus far has been on relatively simple methodologies and easily accessible data. Each of the panelists agreed that there are still vast improvements on the horizon, particularly as we uncover new data sources and learn to capture more signal from unstructured data. Thank you to Marc, John, Andrew, Satadru and Bobby for an engrossing discussion and some fascinating insights on how data science is transforming insurance. Are you looking to hire entry level cyber security practitioners? Help the Boston community understand the type of traits you look for in a job candidate by participating in our short cyber security hiring survey. In collaboration with Northeastern University's College of Computer and Information Science, we've developed a short 7 question survey to help candidates understand how they can be best prepared to work at your company! The goal of Hack Secure is to help educate the cybersecurity community on as many issues and ideas as we possibly can. In that vein, we like to host intimate dinners with cybersecurity practitioners and executives to discuss current topics. Brian's talk will focus on blockhains, and how blockchain-based cryptocurrencies are quickly advancing from simply supporting financial transactions to hosting advanced software services and initial public/coin offerings. He’ll discuss the security of using blockchains for those purposes. He will also explain the basic operation and assumptions of blockchains, such as Bitcoin and Ethereum, then describe the successes of these platform, as well as the attacks that these systems have suffered. We will be taking a look at a few specific cases. For example, in May 2016, an Ethereum-based service called "The DAO" was created as a type of decentralized hedge fund. It raised over US$150M worth of ether during a crowd sale. By June 2016 an attacker began stealing ether from The DAO, but not due to a flaw or vulnerability in Ethereum; rather it was a flaw in the DAO's programming. Also to be discussed is how in July 2017, a flaw in a software "wallet" for Ethereum allowed an attacker to steal US$30M from some users. Hear from Dan Guido of Trail of Bits, Andrew Becherer of DataDog, and Jen Andre of Komand about the opportunities that exist in the cybersecurity community and how you can get involved. OPENSEC PANEL: TOO MANY CYBER SECURITY PRODUCTS, TOO LITTLE TIME: HOW COMPANIES CHOOSE BETWEEN BUILD VS. BUY VS. OPEN SOURCE. Hear from Jason Craig of Dropbox, Brian Riley of Liberty Mutual, Chris Ahlberg of Recorded Future and Craig Chamberlain of Cogito about how they make decisions on which cyber security products to build in house, buy from vendors or leverage from existing open source projects. 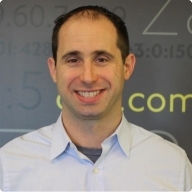 Jason Meller (@jmeller) is the CEO of Kolide, a startup that builds osquery fleet management software. In his presentation, Jason discusses the core principles and advantages of osquery, an open platform for host analysis. There are three properties that differentiate osquery from other technologies; osquery is “platform agnostic”, meaning it can run on a wide array of machines. Osquery is also extremely scalable, as it has been used over at Facebook, demonstrating that it can run on one machine or hundreds of thousands of machines. Finally, osquery is an open source project, meaning that the community is doing much of the development and pushing the technology forward. This lighting talk demonstrates the value of osquery as an open project, especially in security settings. While only scratching the surface of osquery, Jason does a great job explaining the factors that are making osquery one of the most important open source projects available today while painting a broad picture of the platform’s capabilities and uses. Tim Byrd, SVP of Enterprise Information Security at Wells Fargo, speaks about the growing space of cyber security information sharing. Whether you're completely new to ISACs or a member of one yourself, hear Tim talk about how the space currently looks and where it's going. Hear from some of the best from the open source security community in May! Whether you're an open-source contributor, cyber practitioner or someone interested in the security space, our single track conference will offer engaging panels, great networking and a keynote speaker to get you away from the office on monday! With OpenSec 2017 ten days away, we are catching up with a few of this year’s panelists to hear the breadth of opinions surrounding the current state of open source cybersecurity, and where it is heading. This week we spoke with Craig Chamberlain, Director of Security at Cogito. Craig is well known in the security space, working as a security consultant for various financial, defense, and government entities, as well as publishing security research. To hear more from Craig and other leaders in the open source community, sign up for OpenSec 2017 on May 15th. What aspects of cyber security got you interested in the space? How did you get your start? I remember being on a tour of MIT once and hearing them describe how they had to disconnect the student grade tracking system because it was impossible to keep the students out of it. I remember thinking, they have one of the world's best collections of computer science knowledge and talent and they can't keep the students from hacking the grade system? I was sort of fascinated. Later I had more under-fire experience running Internet facing servers through the 2000 - 2005 period when the world experienced a series of historic security fire drills. The changing and adversarial nature of the problem set pulled me in. I went on to help build some security products and had amazing experiences along the way. What advice would you have for people moving into or up in the Cybersecurity space? Look for employers willing to invest in training and continuous education that is important to building skills and being successful. Share research; give talks at conferences and participate in the community. To quote Yoda, "Mind what you have learned. Save you it can. Pass on what you have learned.."
Once you get established, and feel comfortable mentoring, start looking for team members who show interest in, or aptitude for, security. Nurture this. Take them to conferences and meetups with you and hep them get started in security. The cost / benefit curve of building talent, rather then buying, is astronomical. Growing talent will become more and more strategic as talent inflation worsens. What are some products or solution spaces you're watching and excited to see grow? At the moment everything revolves around data science and machine learning. One practical application for these technologies I'd like to see is the application of graph analysis and entity-relationship based anomaly detection for threat hunting and intrusion detection; I'm working on a blog post to elaborate on how I would use this. Where do you see cybersecurity going in the next 5-10 years? Probably a shift towards automation and algorithmic security management and incident response tooling. The problem of talent inflation has become acute as threats evolve and proliferate. Throwing people at the problems isn't working due to scarcity and what I call "inflation fatigue" among business leaders. Why do you think open source can make a huge impact on security? Many security product companies are too focused on simple sales cycles in order to quickly build valuations. Product road maps are too often dominated by marketing managers who are either unwilling or unable to build really compelling and useful features and capabilities. Open source products allow well-resourced security teams to groom and customize tooling to meet sophisticated workflows and increase velocity in the process. Interested in hearing Craig expand on his thoughts? Hear him and other Opensource security experts talk at OpenSec 2017!